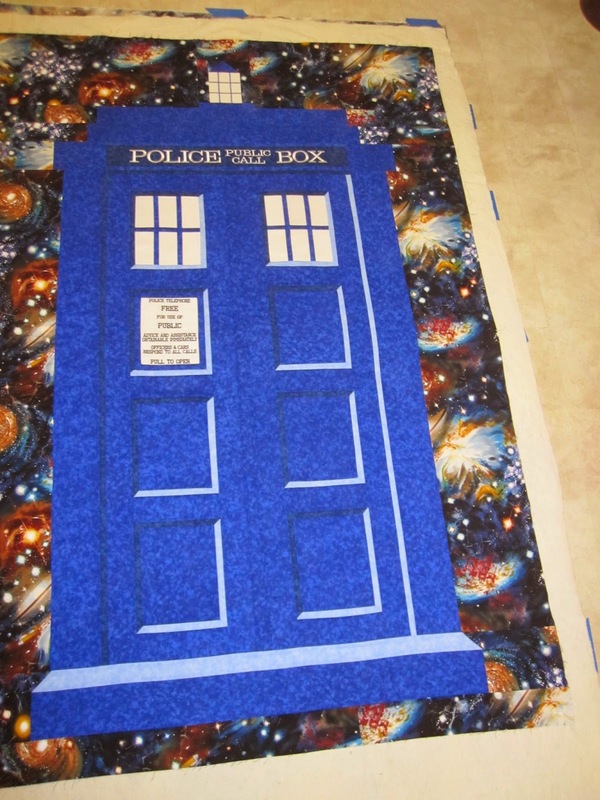 I finally get to show you the Tardis quilt I have been working on. I mentioned in a previous post that when you are working on a gift for someone you can't post about it and its very frustrating cause you want to share each milestone along the way! I got a ton of help with this quilt from a blog Quilts of a Feather. 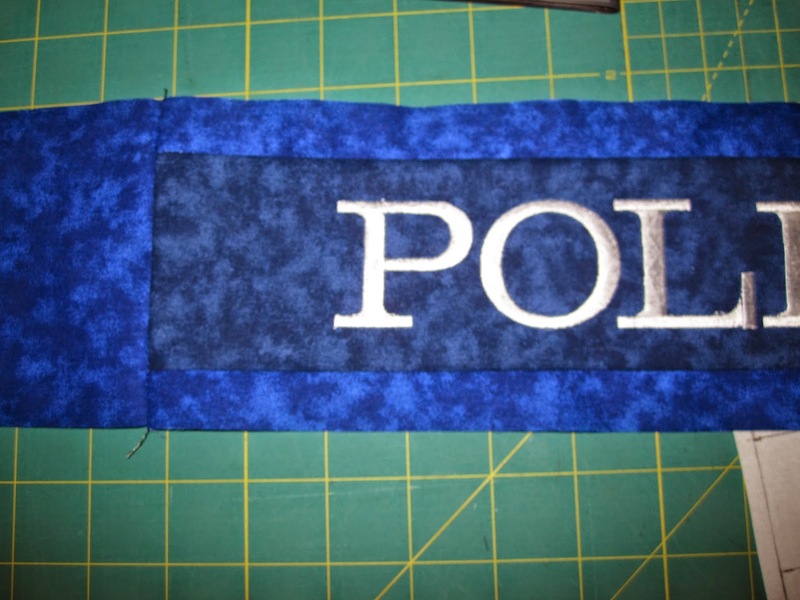 I altered the pattern a bit and designed my own embroideries for the lettering. I did a huge search for the background fabric, and settled on this one from equilter.com. 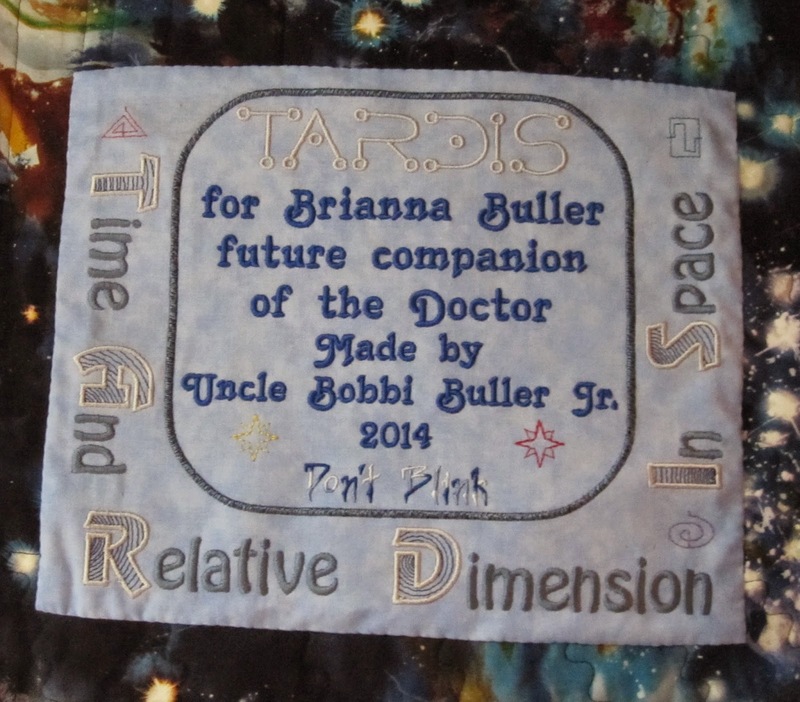 I made this for my niece, Brianna, for her high school graduation present. I didn't get it done in time to give to her at her party. 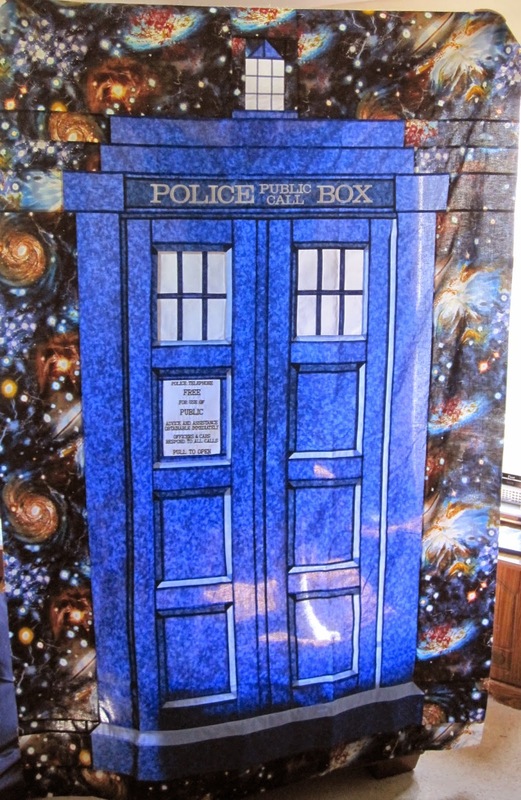 I really needed the Tardis to go back in time so I could finish it!! I finally finished it and was able to give it to her this weekend. She will have to coolest bed on campus!! Of course, I made an awesome label for it!! Oh boy! I hope Aubrey doesn't see this! Fabulous!! Wow it looks great! I love the embroidery! Thanks, I could not have done it without your blog posting!! And thanks to you, Wilma, for starting me out on Doctor Who!! 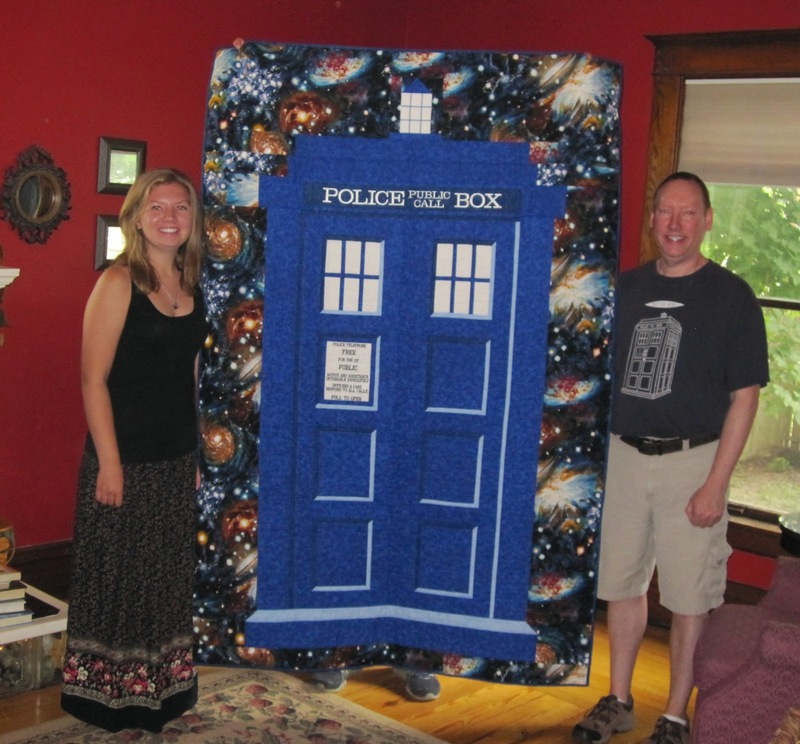 That quilt is AMAZING!!! My son now wants one! I may have to ask for advice if (when) I attempt one. Thanks Christi, I'd be happy to help!